Wire rope assembly with eye to eye loops, each cable is made to measure using 7x19 strand marine grade stainless steel. NB: Price displayed in the table includes 1 metre of wire. Please use the calculator (above right) to work out the cost to your specific dimensions. 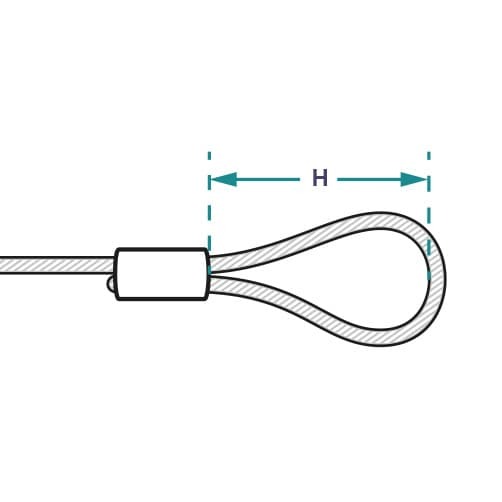 Please Note: Loop height (H) has a tolerance of +/- 1mm. "Soft Eye" refers to the fact that the wire forms a natural loop. A "hard eye" would include a wire rope thimble within the eye. Please allow 3 to 5 working days from order for manufacture and delivery. 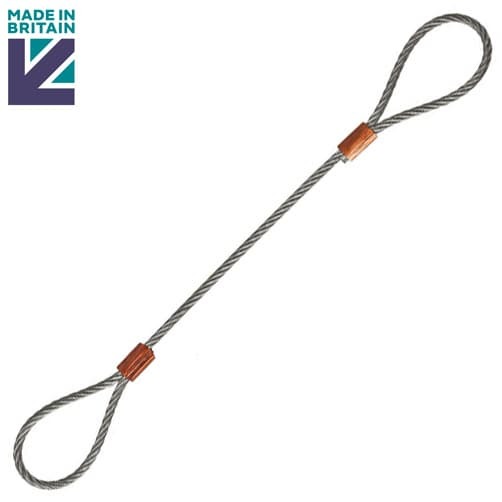 This high quality stainless steel wire rope sling with soft eye loops is engineered and manufactured here in the UK. Please provide us with the BEARING SURFACE to BEARING SURFACE cable assembly measurements. Item was delivered on time and came as exactly as ordered. Great service. Exactly as ordered & fast delivery. 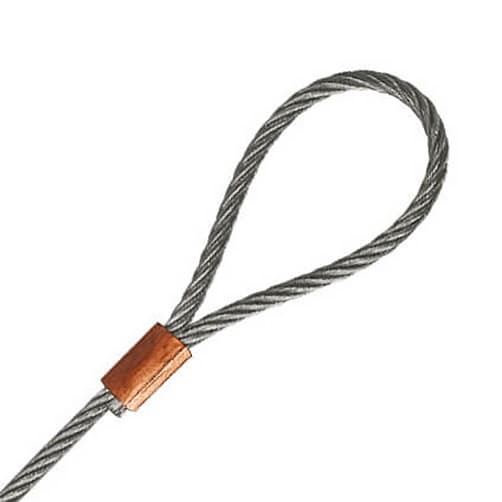 Stainless Steel Wire Rope - Choice of sizes, length and grades. Ferrules, Crimps and Stops for stainless steel wire rope.